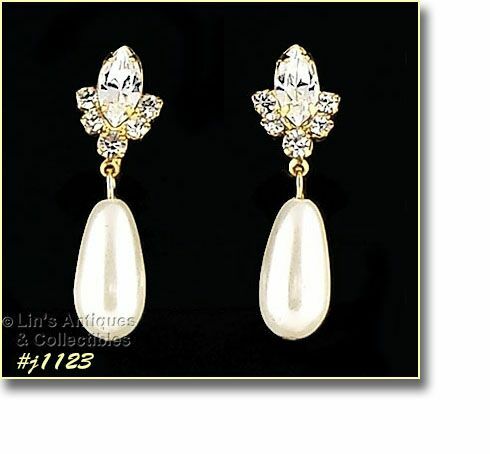 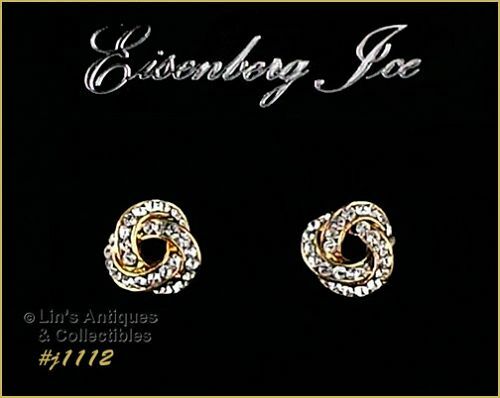 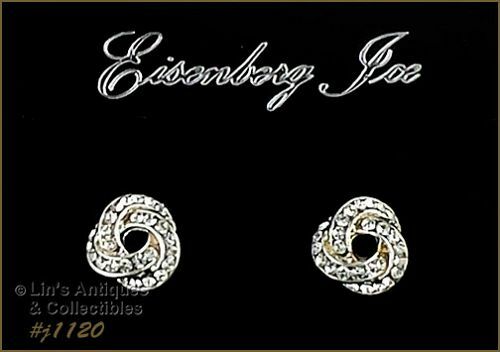 These vintage Eisenberg Ice earrings are understated elegance! 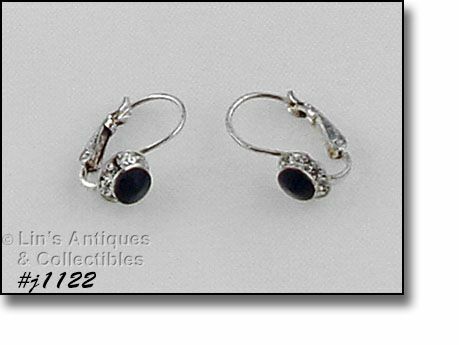 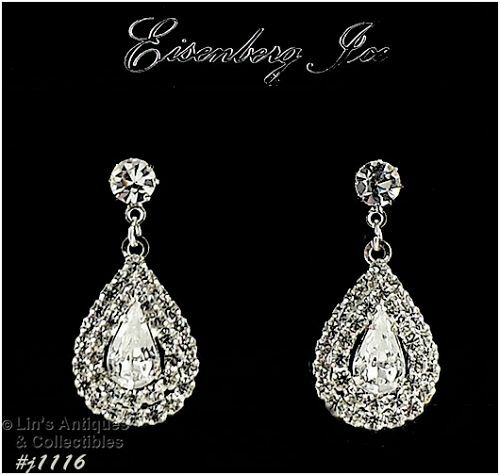 They’re silver-tone and are halo style with a single black inverted rhinestone in center that is surrounded with clear rhinestones. 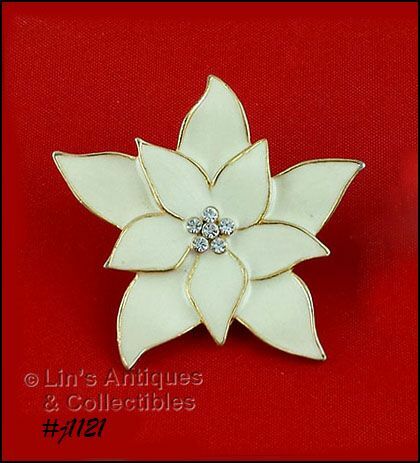 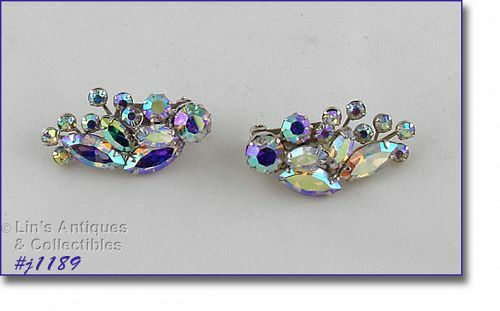 The rhinestone portion measures 5/16” diameter. 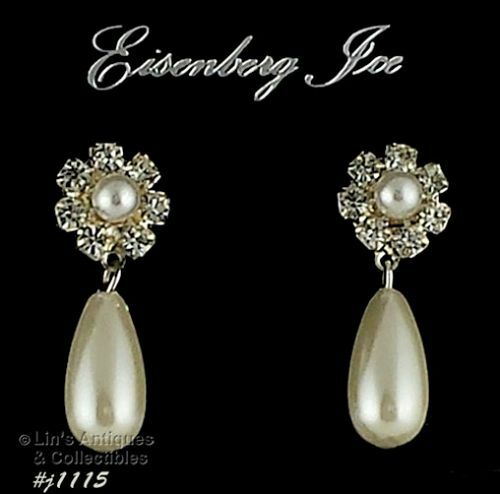 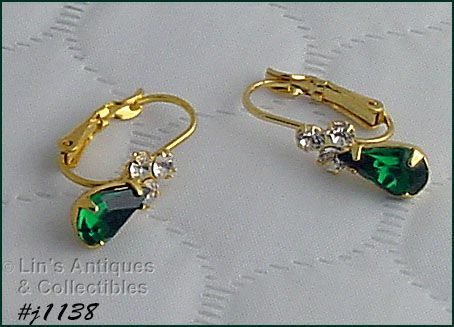 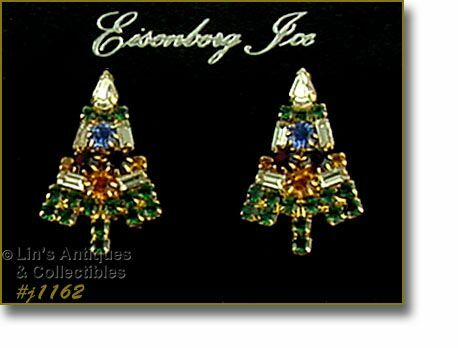 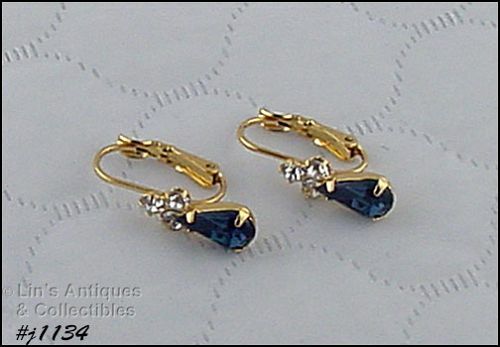 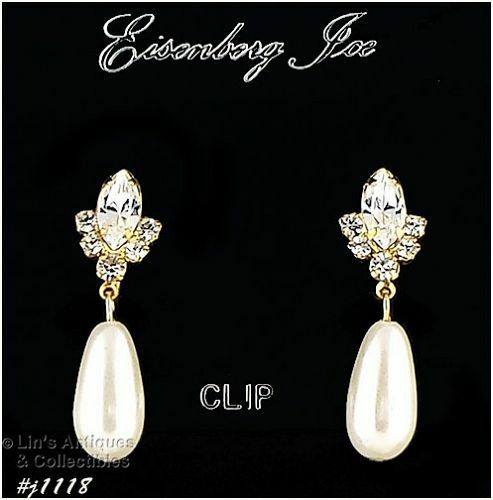 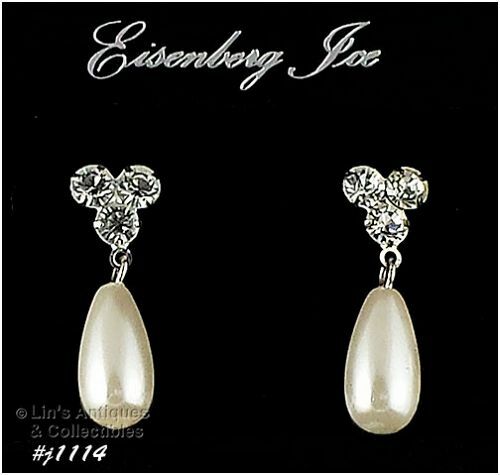 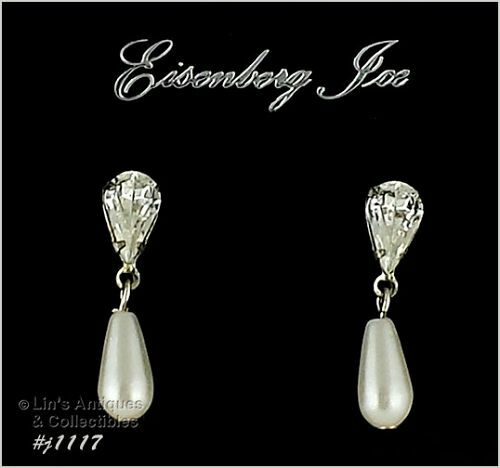 Absolutely gorgeous Eisenberg Ice earrings in this listing – these are among my favorites! 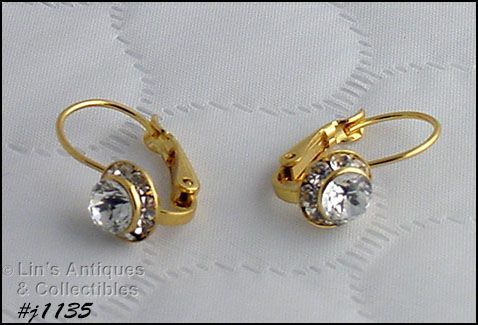 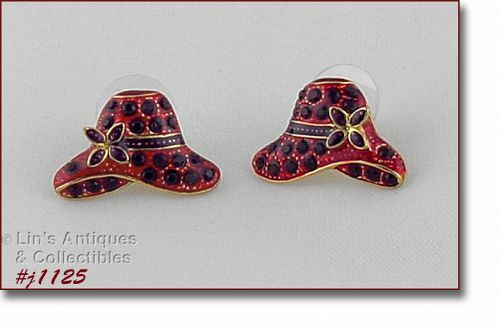 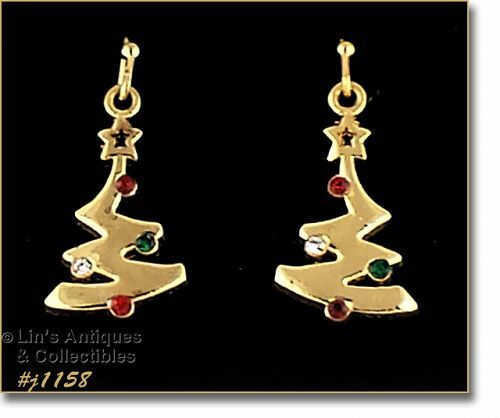 Earrings are love knot shape, gold-tone with clear sparkly rhinestones, and are pierced style.